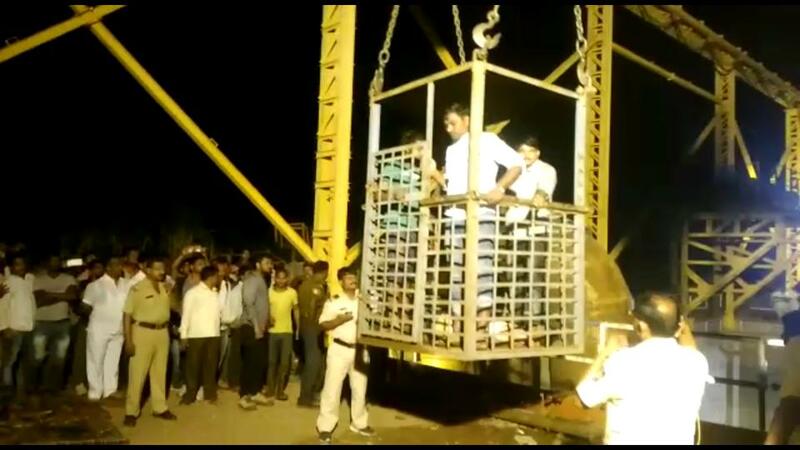 PUNE: Eight labourers were killed after the cables of an elevator snapped when they were coming out of an underground tunnel, police said. The underground tunnel, which police said is more than 100 feet beneath the surface, is being constructed near Akole village as part of the Nira-Bhima river-linking project on the outskirts of Indapur town, 120 km from here. Around 6.30 pm, eight labourers were coming out of the tunnel in a lift when its cables snapped mid-way. All of them were killed in the incident, said sub-inspector B N Pawar of the Bhigwan police station. He said most of those killed were from outside Maharashtra, but they are yet to be identified. A police team was at the spot to ascertain their identity. The river-linking project, launched under the Krishna Bhima Stabilisation scheme, involves the construction of 24.8 km-long Nira-Bhima Link 5 tunnel. The project, which began in 2012, is designed to take water from water-rich rivers to scarcity-hit areas.